Some are questioning if active investment strategies are dying. “Investors have pulled $304.7 billion from active U.S. funds in the past 15 months,” reports The Wall Street Journal. Investors have awoken to the higher costs of active funds and tepid performance which often fails to outperform or even match the broad market. Meanwhile, passive investment products are soaring amid a gain of $735.5 billion over the same period. The frenzy is reaching the gold mining ETF market. “In the past six months, waves of money rushed into a $20 billion complex of interlinked exchange-traded funds that invest in gold mining companies,” explains The Wall Street Journal. Some of these ETFs have taken in $1.4 billion since September. Inflows of this size are starting to change the markets. When this much capital rushes into an ETF within a short period, the funds must purchase more shares. These movements can create problems. For example, a gold ETF may close its doors to new investors. The reason: fast ascending share prices exceed the value of the underlying assets. Managers and investors are learning that widespread devotion to a passive approach has its problems. In previous articles, we've explored why gold ETFs fall short of the benefits offered by holding the physical product. However, here we see a new reason in the form of unwarranted prices. Moreover, these surging share prices appear to stem from investor excitement over passivity rather than the inherent value of the assets. These recent events illustrate how gold ETFs can create unintended consequences. As a result, some analysts warn that markets will become less efficient. In extreme examples, a publicly traded company might discover that their largest shareholders are a few large institutional investors. These monoliths capture more shares as their index funds pull more passive investors into the fray. This problem is systemic. As a public company's market share increases, an index fund would need to follow suit. That is, the fund would need to buy more shares to become more representative of the market. This cycle means the company’s share price continues to ascend due purely to reactive moves from an index fund rather than profitability or sound management decisions. “Some studies suggest stocks included in popular indexes sport higher valuations and tend to move in lockstep with one another instead of responding to fundamentals,” explains The Wall Street Journal. Ownership of physical gold presents an elegant solution to this problem because it’s free from the fluctuations arising from capricious ETF inflows. Commodities like precious metals are comfortably outside the whirlwind of tumultuous investor psychology. 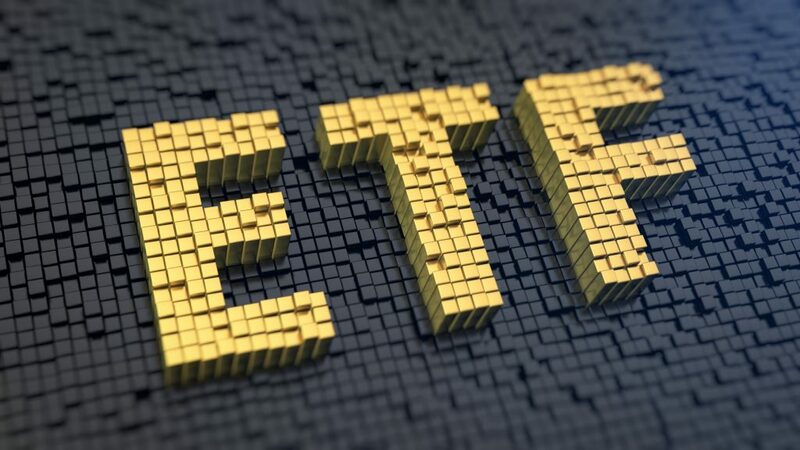 True gold investors seek the metal because of its rarity and not the complexity of leveraging and derivatives common to ETF shares. The problem is getting worse as momentum towards passive investing grows. “Nearly one in every $5 invested in stock funds is invested in an index fund, up from less than one in every $10 in the year 2000,” explains one journalist at CNBC. It’s ironic that investors identifying themselves as passive are unwittingly exerting powerful force upon the market.